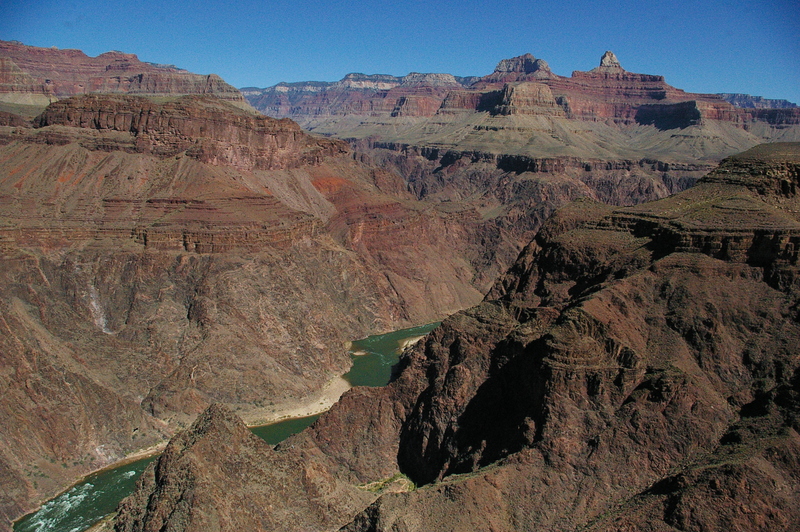 Bright Angel Trail begins at Grand Canyon Village and descends 1,335 m (4,380 ft) to the canyon floor. You can follow the trail another 3.2 km (2 mi) to the Bright Angel campground and Phantom Ranch. The path is the main trail used by hikers and mules on their journey through the Grand Canyon to the campground. During high season, the trail can be crowded, but adopt a slow pace to enjoy the views on the way down. Wear footgear with sturdy grips and bring plenty of water. You can stock up on supplies at the visitor center at the top of the plateau before heading down to the canyon floor. Arrange your visit to Bright Angel Trail and discover more family-friendly attractions in Grand Canyon National Park using our Grand Canyon National Park trip maker site .